Posted on June 28, 2013 by Financial Underdog	in investing. One of my core believes when it comes to money, is that you have to invest your money and make it work for you. I don’t want to work for money for the rest of my days – at some point, I’d like to get the money working for me so I can relax a little. Wouldn’t it be great to only work if I want to? To have a pile of money in different investments that produce a healthy return? This is one of the reasons why several years ago we’ve decided to set money aside and actively invest them. Before that, we would just save money in savings accounts – but at some point it started to look a bit like hoarding – sure it was nice to have it, but with whopping 1-2% returns on our savings, we were basically breaking even after inflation. We could put money into stocks and mutual funds, but I’ve personally had bad experience with mutual funds before (more on that later), so we started looking into alternative investing options. Some interesting opportunities were discovered – one of them was investing in Canadian farmland (mainly Saskatchewan). Why would anybody think of investing in Canadian farmland? Investing in farmland provides an excellent security – it will never go to zero. Stocks can go to zero. Banks can go bankrupt. But farmland will always be worth something, it’s a real hard asset, and the value will always be there. Supply of farmland is decreasing which puts an upward pressure on its prices. For example, Wisconsin lost almost 500,000 acres of farmland between 1997 and 2002. It is fundamental to life. We need farmland to survive because food comes from farming. Other investments – for example gold or silver – might sounds like solid investments, but at the end of the day you can survive without them just fine – but try surviving without food! Investing in Canadian farmland represents stable, income producing assets that are going up in value and serve as an excellent hedge against inflation. 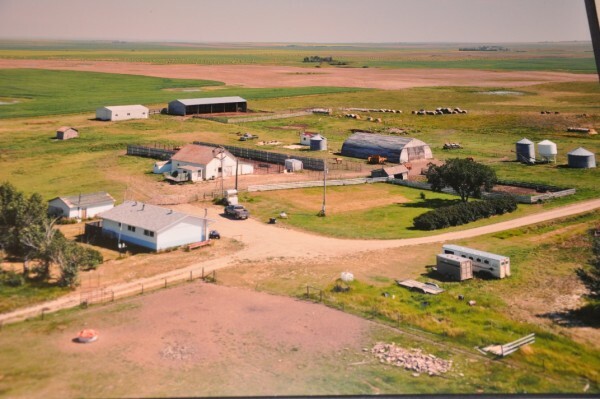 Average annual return to owners of Saskatchewan farmland is around 10% (1972–2003). Farmland values have been steadily going up across Canada and US. Recently, in Canada they’ve reached new record highs. The main reason for it is diminishing supply and increased pressure on production. In other words – people need more food, but no new farmland is being made. In some areas, the prices per acre doubled in less than 3 years! 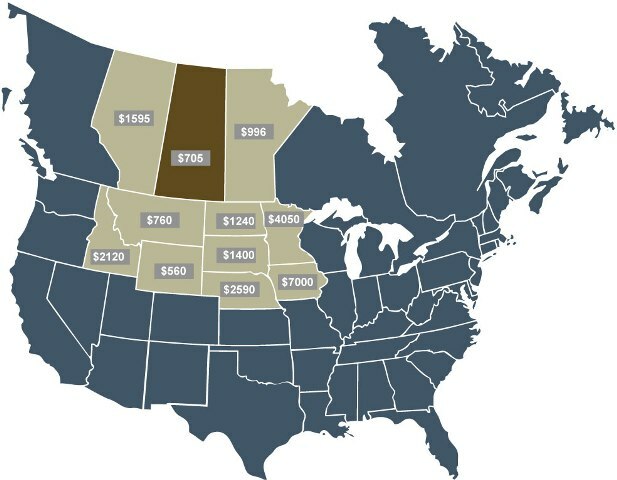 As you see, farmland prices in Saskatchewan are still low comparing to other provinces and various states – but they’re going up in value rapidly. In 2012, farmland prices in Saskatchewan went up by almost 20%. How does one invest in farmland? Buying physical farm and leasing it out to a local farmer who will pay you a rent payment out of his business. One blogger that I read on regular basis did exactly that! He bought a farm (on credit which I can never understand, but hey…), leased it out to a farmer, and now receives monthly payments. It was very interesting to follow his adventure – from scoping out the location, to putting down the deposit, and to finally getting his first check in the mail. But while it is certainly exciting, this approach is very hands on, and you basically have to score a direct hit – buy an excellent farm, find a reliable farmer, and pray nothing bad happens. It reminds me of absentee landlording and how tough it can be. You can buy into a private investment fund that specializes in investing in Canadian farmland. That’s exactly what we’ve done a while ago. AgCapita is a Calgary-based investment company that raised $30M and bought 45,000 acres across Saskatchewan. We’ve limited our investment to $15,000 for now, but looking into buying more shares sometime this year. To be honest, I like this approach better – while it’s certainly doesn’t have the same excitement as owning a physical farm, I can sleep well at night knowing that a team of professionals who know everything about investing in Canadian farmland work hard for me by investing my money – they buy good properties, rent them out, and make sure returns are there. Their portfolio is worth close to $50M by now and annual compound returns reached 20% last year! Saskatchewan contains almost 40 per cent of the farmland in Canada, close to 64M acres. Saskatchewan farmland is of the highest quality with great access to water, and with warming climate its productivity is expected to rise even further. Saskatchewan farmland prices were held down artificially until recently with restrictive laws – and now they have a lot of catching-up to do to reach other provinces. You have to buy them through Exempt Market Securities dealer. I deal with Raintree Financial, I’d contact them.